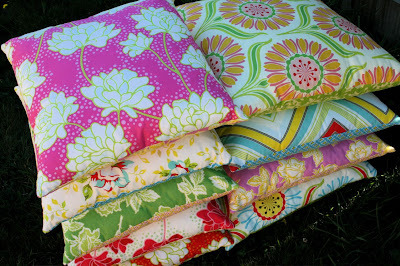 make it perfect: .Cushions in Pop Garden & Bijoux. .Cushions in Pop Garden & Bijoux. These cushions ended up being a little more work than I bargained for. Once they were finished I was really happy with how they turned out, but there were many moments during the making where I found myself asking why I turned something that should have been a quick, easy project into a mountain of work! The last cushions I made out of regular quilting fabric looked great, but after about 12 months the fabric started to look a little worn and saggy. I didn't want this to happen to these cushions so I decided to iron on some thin pellon to the back of the fabric to give them a bit more stability. Then I had this crazy idea to HAND-QUILT around every shape on the cushions. Do you have any idea how long that took?!?? 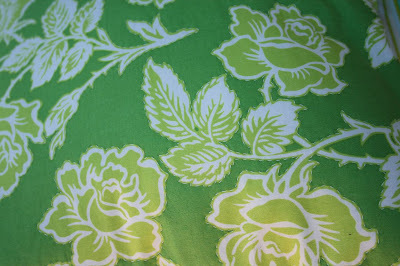 I started out thinking that I would only use the Pop Garden and Bijoux fabric for the fronts of the cushions so that I could save some for other projects, and would use some plain homespun for the backs. Then I realised that it is very rare for the cushions to stay on the couches in our house and that if I was going to the effort to sew them in the first place I may aswell make them reversible so that it didn't matter which way they ended up on the floor or the couch - they would always look good! A nice, bright change for the loungeroom, lots of cheery colour ready to keep us perky during winter! ohhhh yummy, I love them! I need bright cushions! see you Sat. You HAND QUILTED them. Wow that would be some work. But they look EXCELLENT. Well done. POP garden is the perfect name for that range! They are so so funky and cool! Love to see a pic of them on display in your loungeroom! p.s. 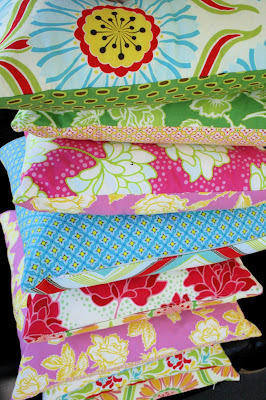 I finally got the Funky Fabrix brisbane store- bought some gorgeous fabric, i wonder if I will ever have time again to use it! 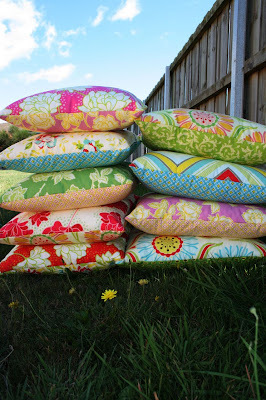 They look fantastic, i still haven`t even started my cushions which i`ve been saying i`ll make since August last year. You have done very well.